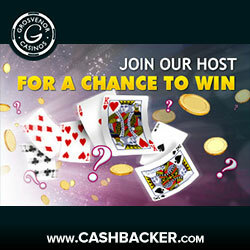 Grosvenor’s live casino just got a ‘host’ lot better! Grosvenor Casino's Live Casino games have just got a whole lot better, with their introduction of live chat, in-game bonus rewards, and live promotions - who said it couldn't get any more "real"? First of all, what is Live Casino? Sure, it might be wise to actually explain what live casino is off the bat. Well, it’s all rather simple - imagine a real-life casino dealer beamed straight to your living-room. Okay, maybe the screen in your living-room, but still, it’s pretty awesome. Live casino essentially hooks you up with an actual dealer from the comfort of your own home via webcam. This way you can experience the thrills of Vegas, but without all the hassle. Most reputable online casinos feature live casino games such as these trusted casinos. You can also check out our Guide to Live Dealer Casinos. Previously though, there was no way to communicate with the dealer other than place bets. Until now - Grosvenor spotted a gap in the market and have now included live chat and in-play bonus games and promotions as part of their live casino package. Introducing Grosvenor’s live casino hosts! Whether you’re confused about play, or just fancy a natter, Grosvenor’s live casino hosts will be on-hand to help you in any way they can. Live casino hosts are available on ‘bad beat’ tables, but times vary, so head on over to their website for accurate times. Of course, they’re not only here to keep you entertained - you can also bag some pretty nifty bonuses if you treat them nicely. From quiz nights where hosts ask random questions to punters for the chance to win £30, to the bad beat bonus where hosts will throw a little cash your way to soothe the pain of an unlucky streak, there are plenty of ways these guys can help to make your gaming experience even more special. During randomly selected evenings, anybody playing on a Grosvenor-exclusive table will be entered into ‘Quiz Nights’, where the first person to answer via the chat bar will win bonuses ranging from £10 to £30 — something that’ll come in handy during your night of gaming for sure! If you’re on a bad-streak when the ‘bad beat’ bonus is called, don’t fear. During the next fifteen minutes, if you lose multiple hands, the dealer will offer you some form of bonus to ease the pain. Better than a kick in the teeth, ey! Playing at one of the dedicated Blackjack tables from 7pm - midnight might mean you get a surprise visit from one of the live hosts who will selecting a mystery card at random. Each time a matching card is dealt into a player's deck, they'll win a nice little bonus. If the card lands on the dealers box, all players will win! How about that for a slice of fried gold! If the live dealer announces this bonus is active and you land three, four or five cards of the same suite then you’re in for a pleasant surprise. You’ll either take home £10, £15 or £20! And to top it all off, if you land one of the random bonus cards added to the shoe by the live casino host you could walk away with cash, for doing absolutely nothing. Really, if it gets any better than that elsewhere, let us know! So, there you have it, everything you need to know about Grosvenor’s live casino hosts. What are you waiting for, head on over to the renowned casino today and experience the thrills of live casino!